LOMO LIFE - THE FUTURE IS ANALOGUE! 384 pages, over 2900 pictures, 138 cameras, 2 books; tons of creativity! 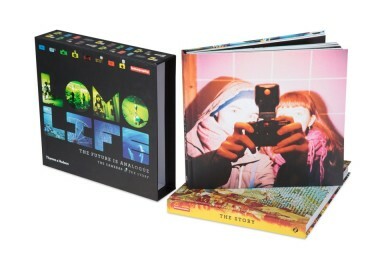 In the run up to our 20th Anniversary, we partnered with publishing house Thames & Hudson to create a stunning two-volume slipcase that catalogues the past two decades of Lomography. Packed with incredible, exclusive photographs dug from the Lomographic archives, these two hardback books retrace the most significant moments in the making of Lomography and features forewords from both cult-author Neil Gaiman and award-winning Thai filmmaker Apichatpong Weerasethakul. 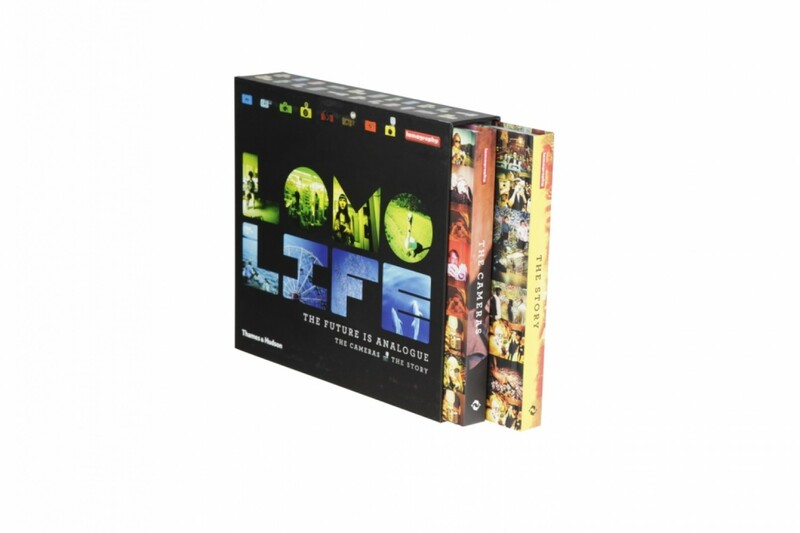 Printed on 2 different high quality paper stocks and presented in a slick cardboard sleeve, this beautifully designed collector’s piece is a fitting tribute to two decades of Lomo Life. In the last two decades we have kept on surprising the world with our eye-catching, unconventional, colorful analogue camera innovations – now you can find them all together in the same place for the very first time! Featuring specially-commissioned photographs of almost 150 models, this beautifully laid out book is a veritable Lomographic encyclopedia. Including some of the rarest limited editions, you’ll find them all in this book; from multiple-lensed cameras to underwater cameras, from plastic pinhole cameras with no lens at all to premium panoramic cameras with mechanical swinging glass lenses, a 360° camera that can capture everything in sight with the pull of a cord and some of our superstar camera collaborations with Paul Smith, Fred Perry and the White Stripes! With a full run-down of all technical specifications and cross-referencing to all our camera accessories, this is the perfect book for analogue newbies and camera geeks alike! Did you know that F1 superstar Eddie Irvine once played guitar for us, that we had a meeting with Vladimir Putin or that we built a 60,000 Lomograph-strong LomoWall inside a Beijing temple? This book, jam-packed with exclusive material from the Lomography archives tells the full story of how the snapshooting craze grew from a small student apartment in Vienna to an international movement boasting millions of followers. Showing an extensive selection of the greatest collaborations and exhibitions from the last 20 years, this book will take you on a Lomographic journey right around the globe; from LC-A snapshots of the war in Sarajevo to beautiful snapshots of skateboarders in Afghanistan. Get ready to be captivated by 20 years of analogue anecdotes and snapshots from every corner of the world!